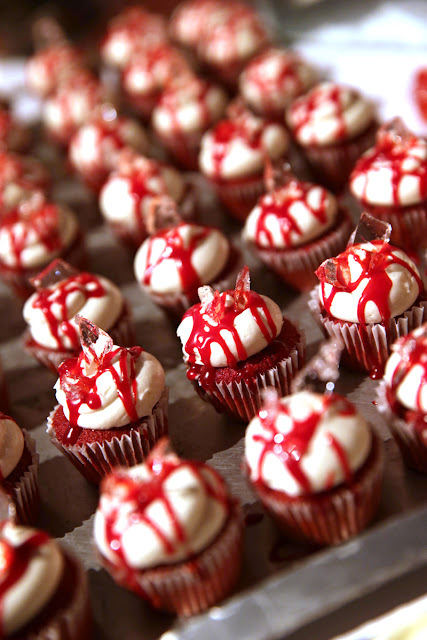 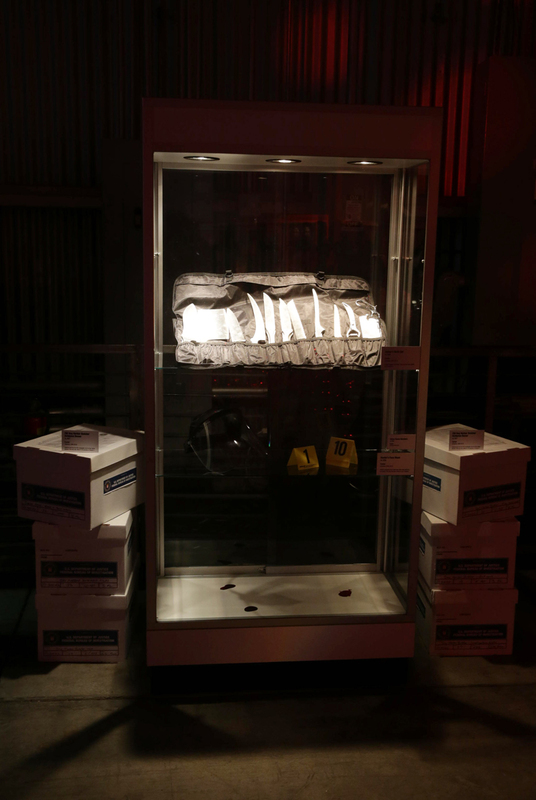 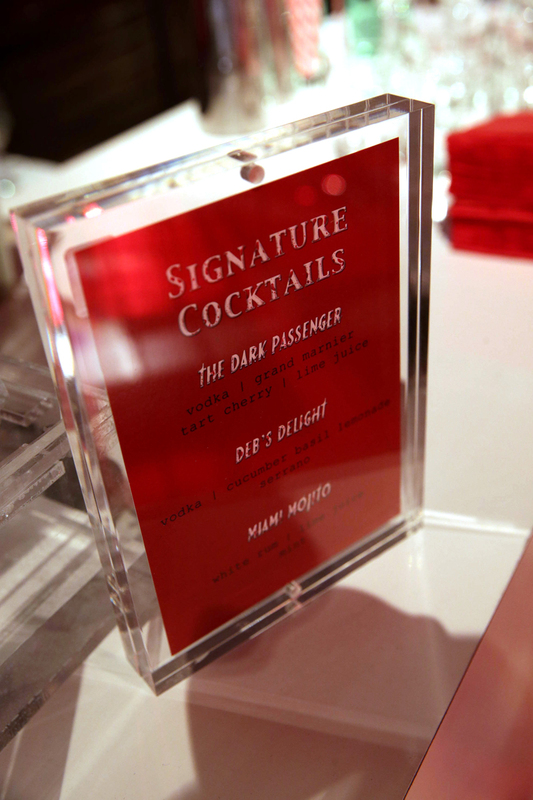 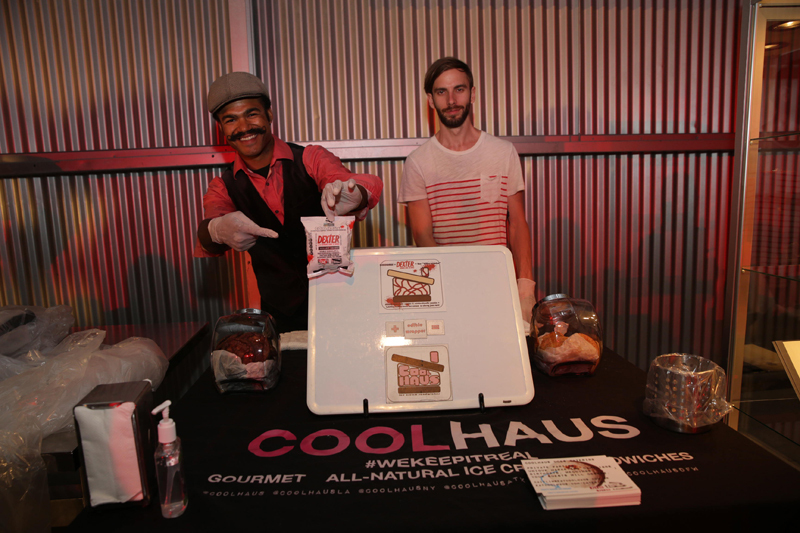 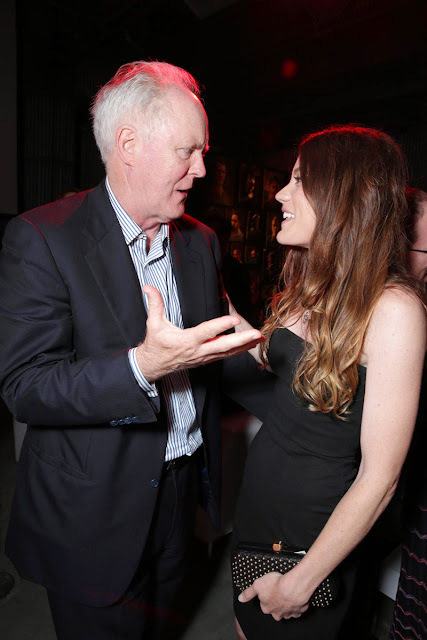 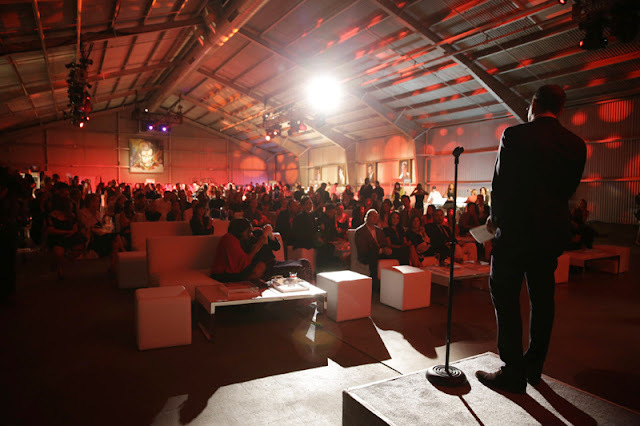 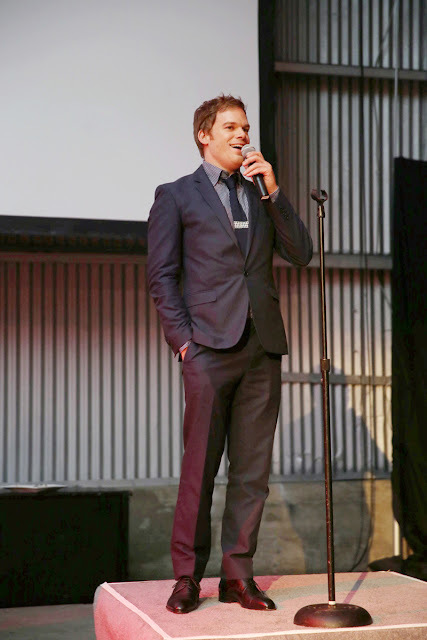 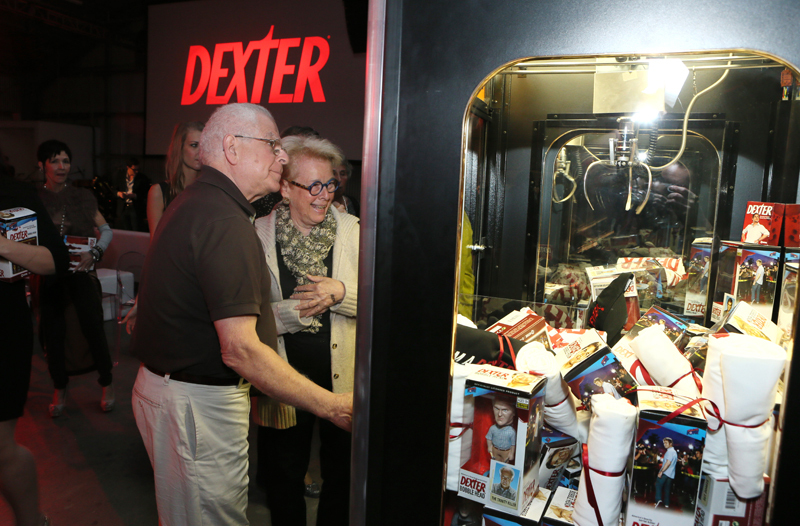 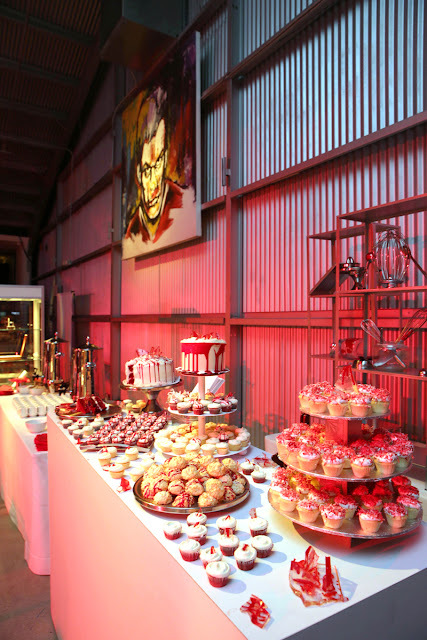 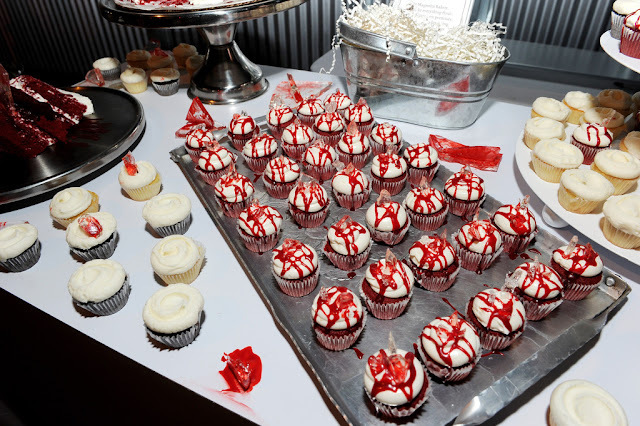 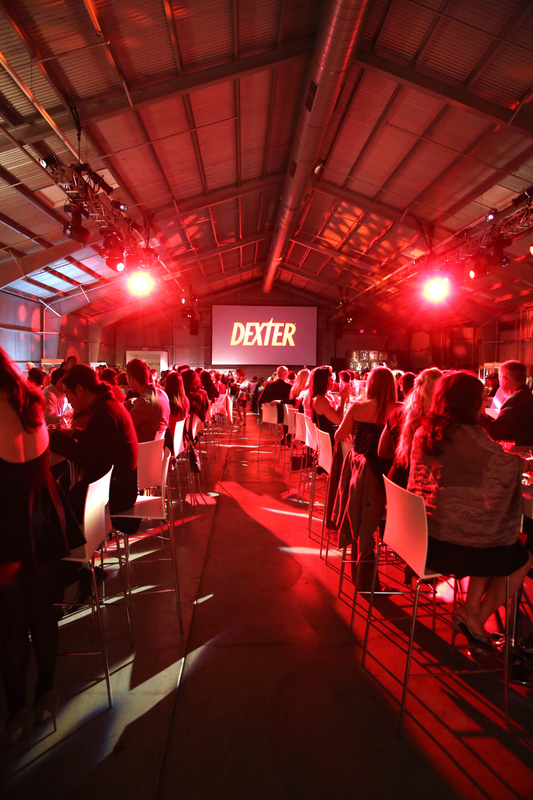 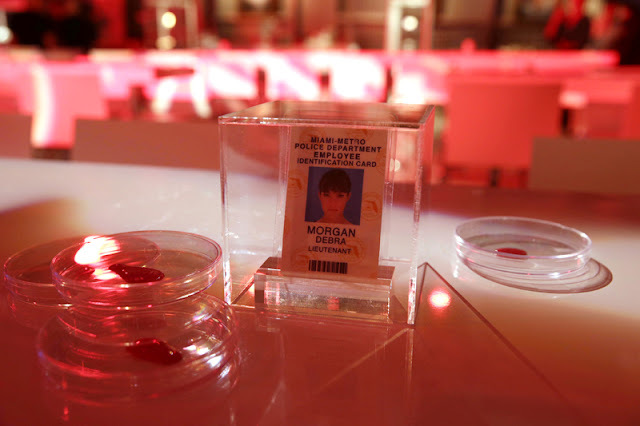 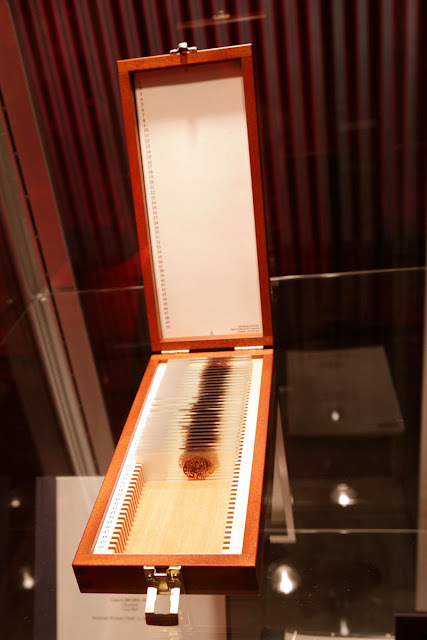 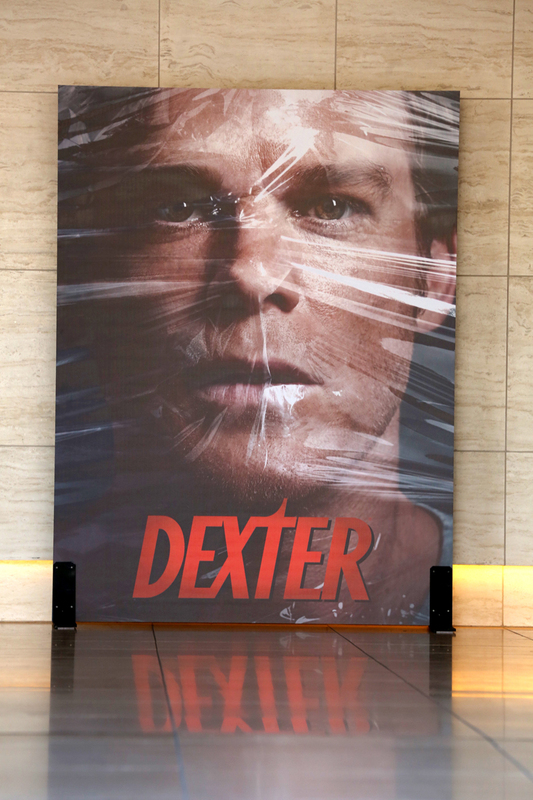 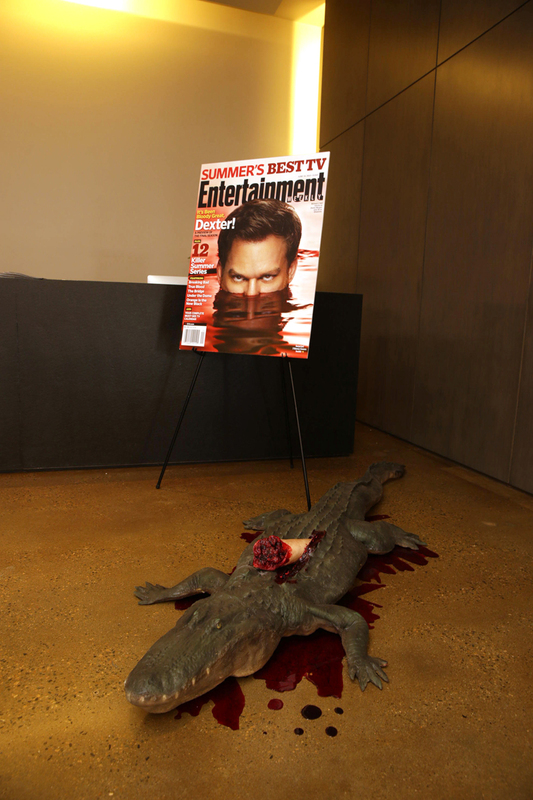 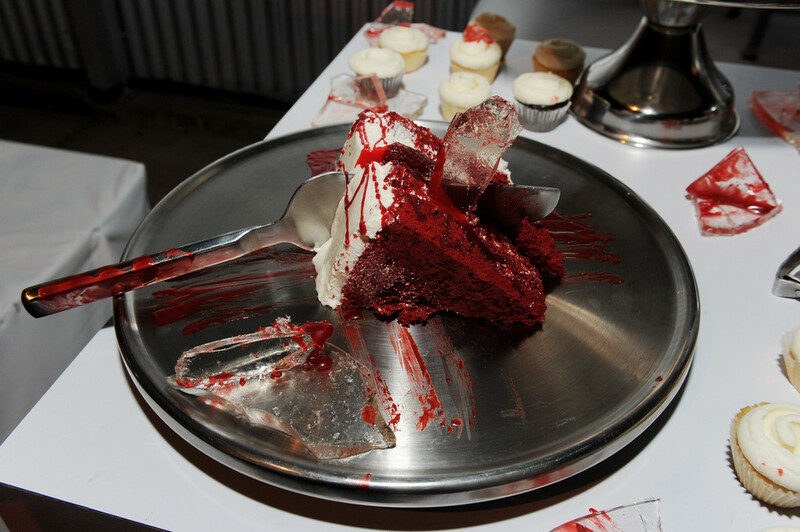 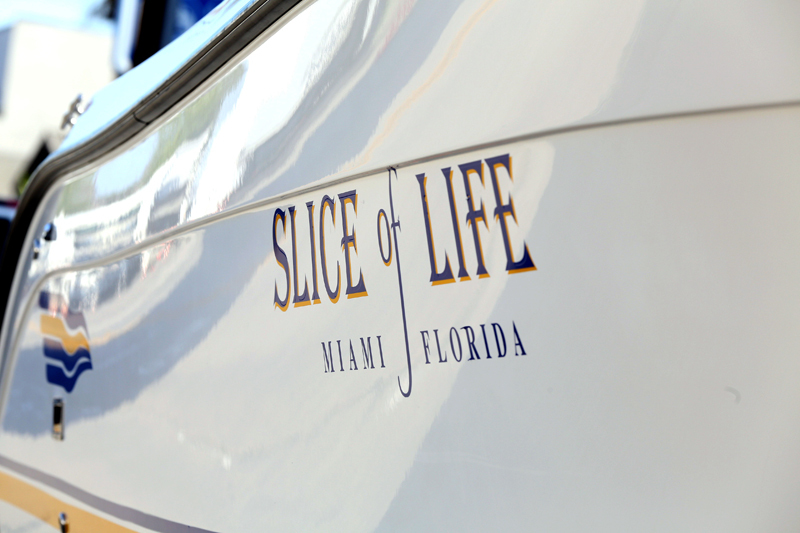 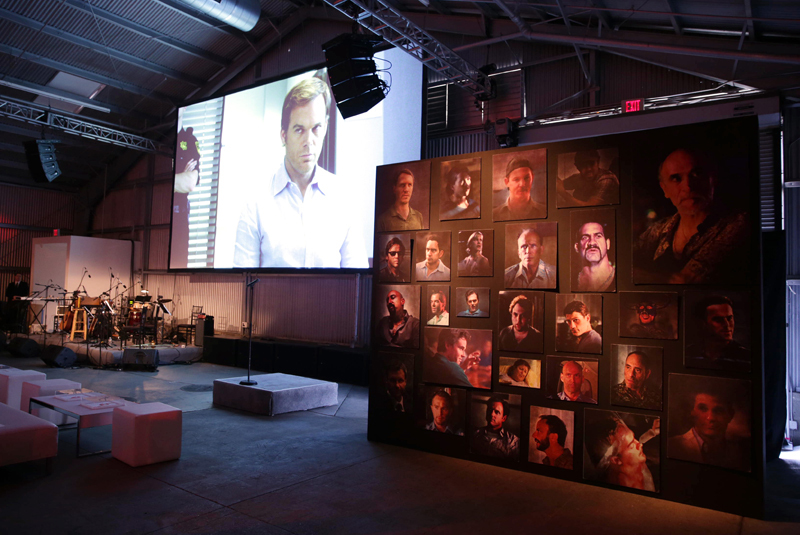 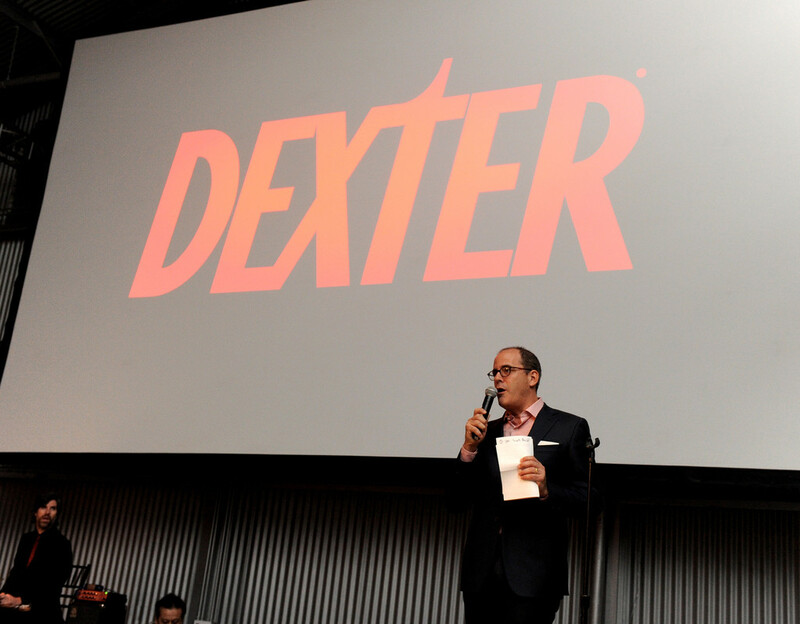 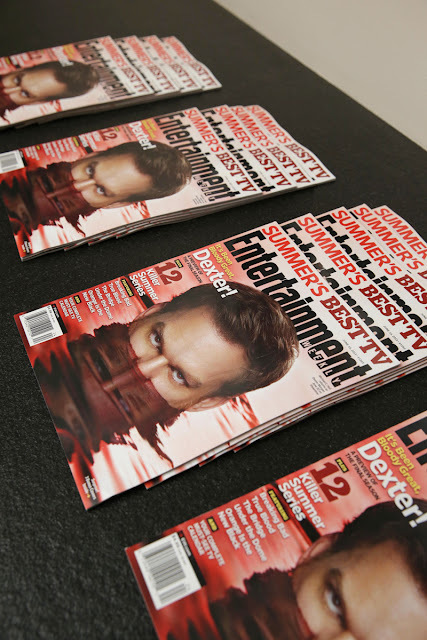 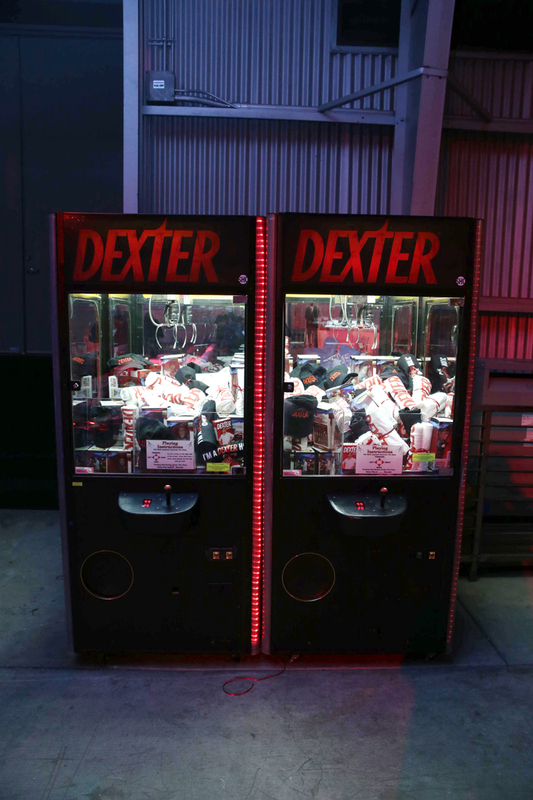 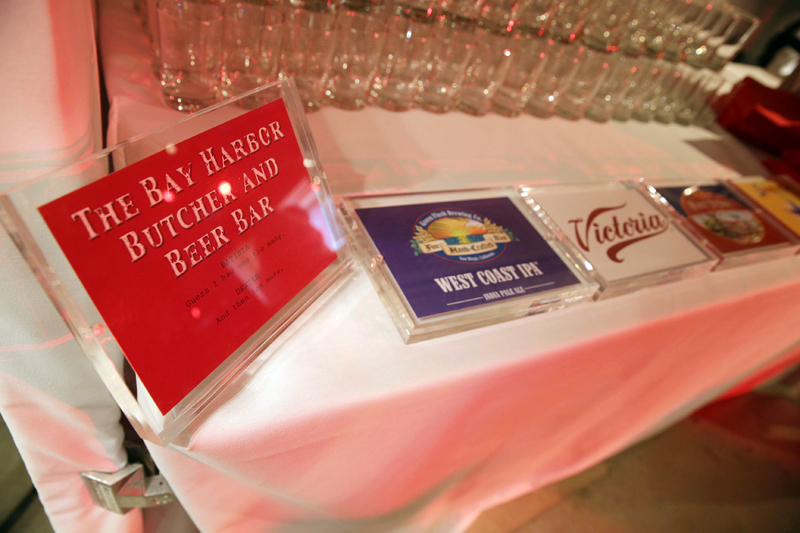 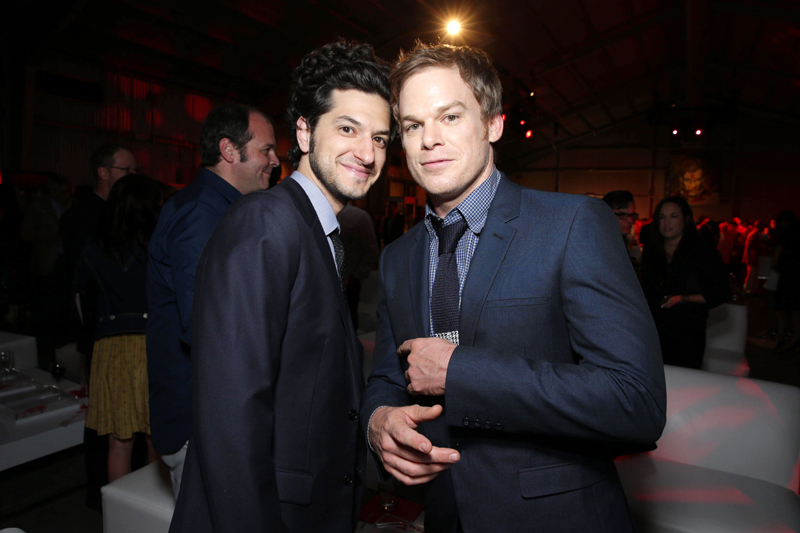 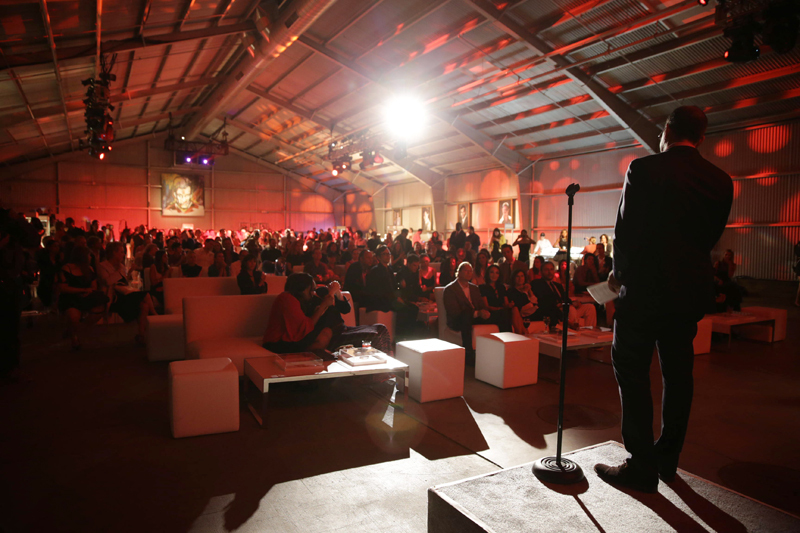 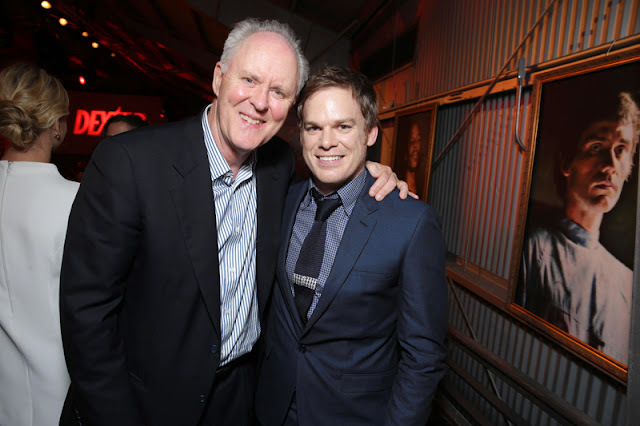 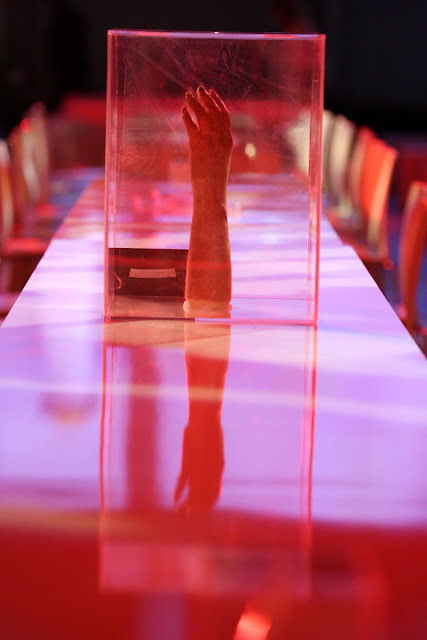 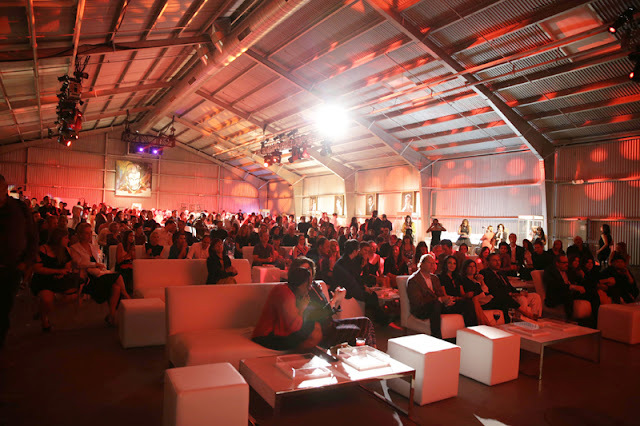 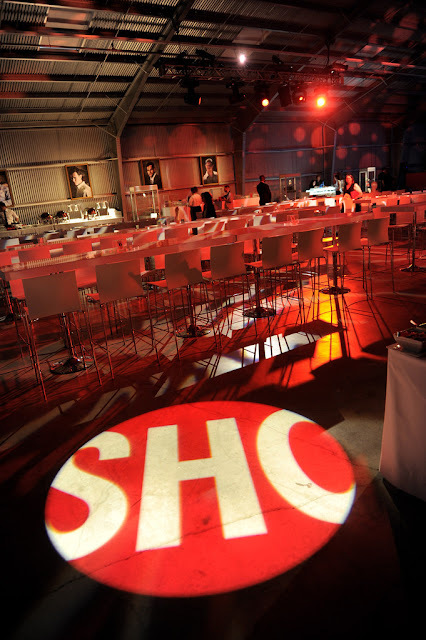 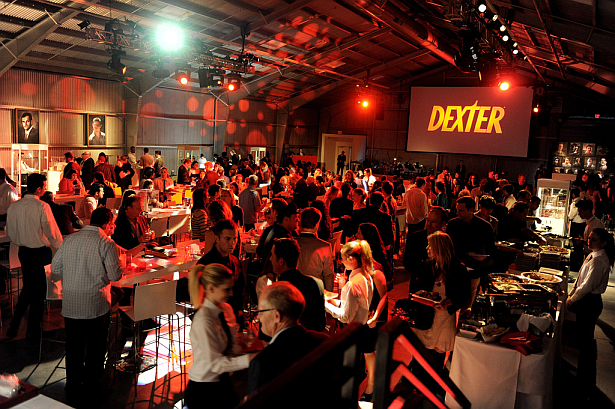 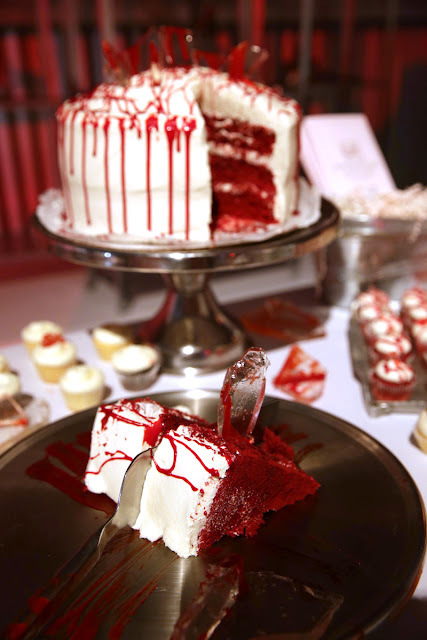 Take a behind-the-scenes look from inside the Dexter Season 8 premiere party. 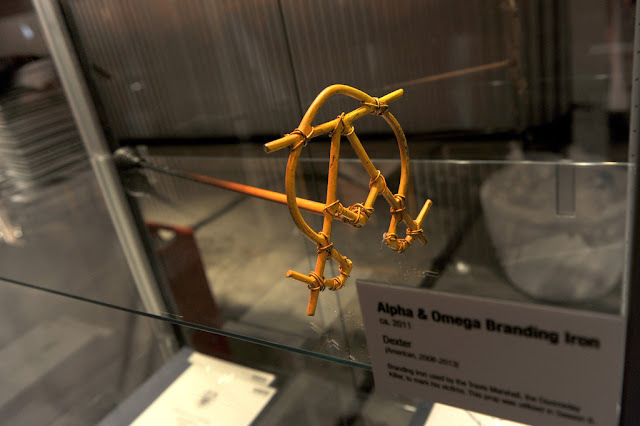 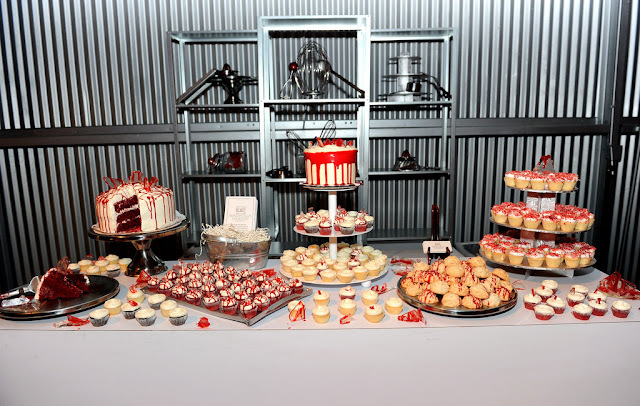 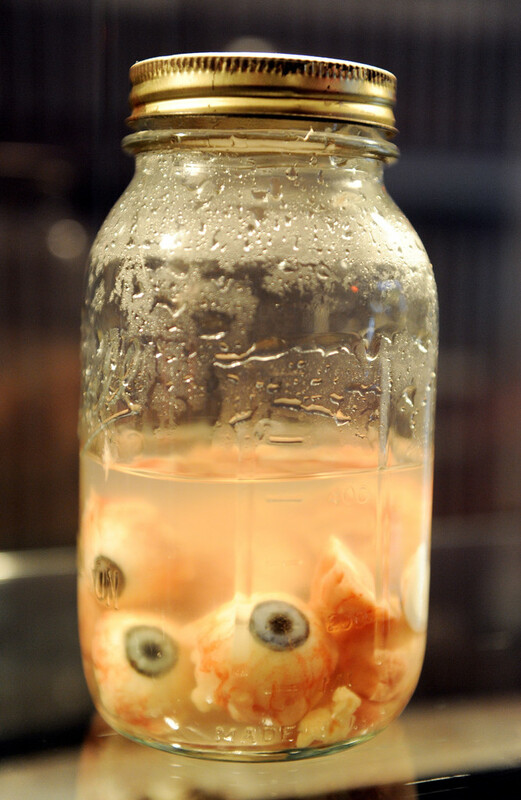 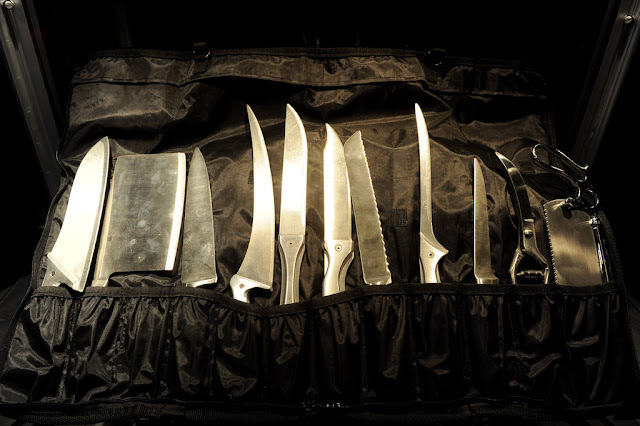 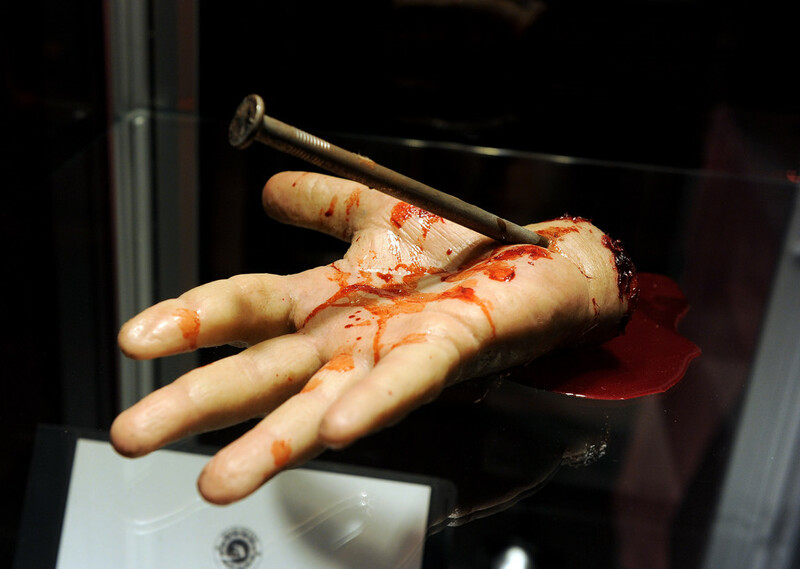 Killer props from the set, custom-made Magnolia Bakery cupcakes and many more cool stuff! 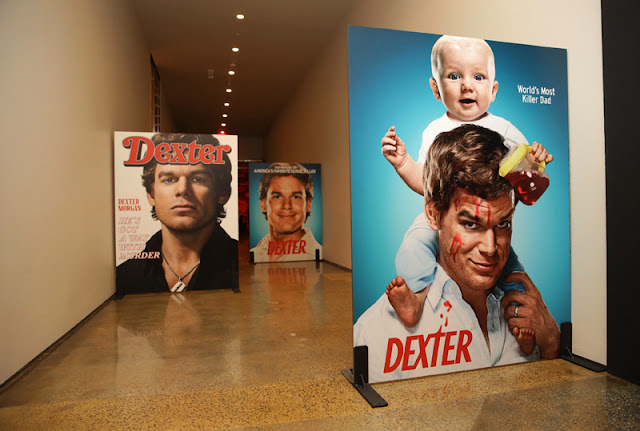 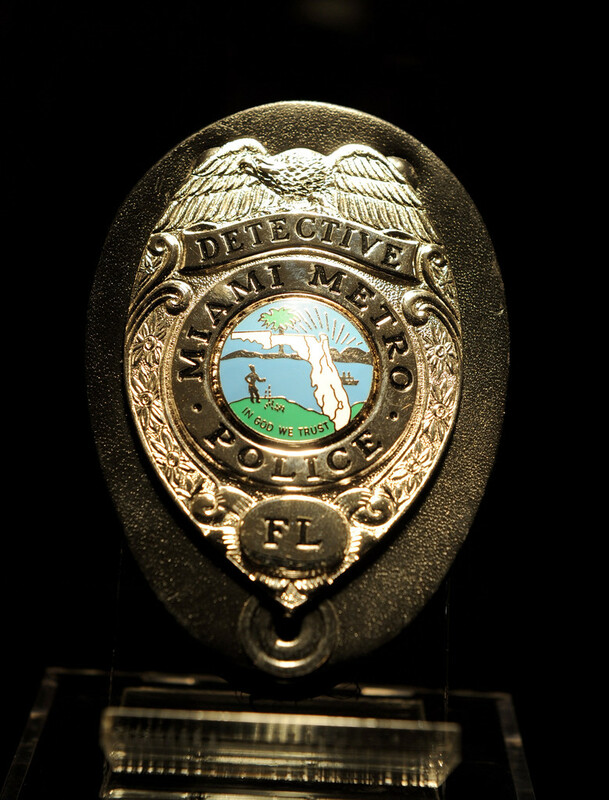 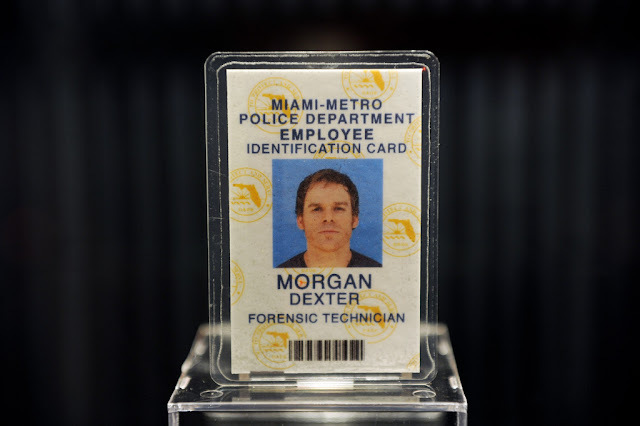 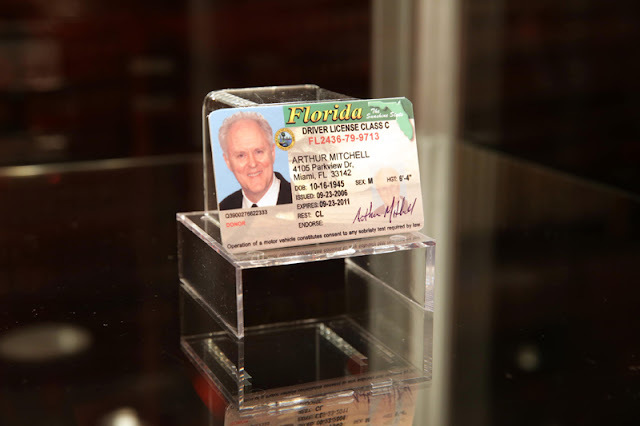 Metallic gray walls were decorated with portraits of some of Dexter's biggest enemies: Jimmy Smits' Miguel Prado, Erik King's James Doakes and John Lithgow's Trinity Killer. 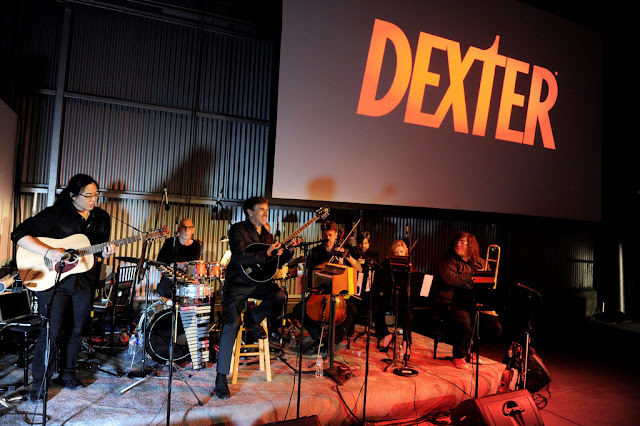 After screening the first two episodes of Dexter's final season, guests enjoyed the live music from the series, performed by Daniel Licht. 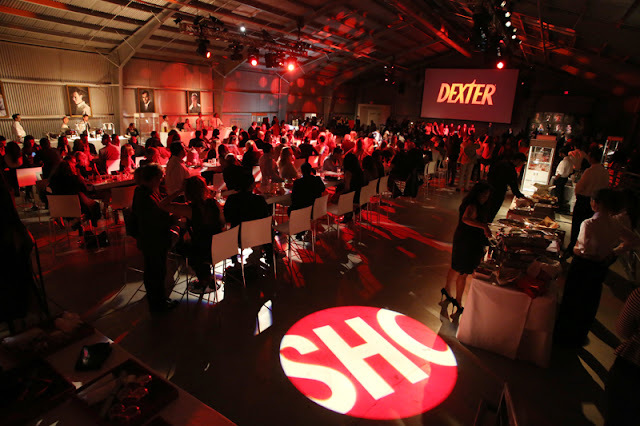 Skip the jump to view all the photos!